The Association, made up of Cornish pasty producers of all sizes from across Cornwall, has been asked numerous times about the impact of a possible exit from the EU on the protection of the Cornish pasty name. The Association’s board recently decided that, after working so hard for so many years to gain recognition for the Cornish pasty through the EU Protected Food Names scheme, it would be wholly inappropriate for it to support anything that could potentially impact on that status. Statement issued by the Cornish Pasty Association on 3rd June 2016. The CPA created the groundswell that led the EU to grant PGI (Protected Geographical Indication) status to the Cornish pasty. This milestone achievement means that, throughout the UK and the wider European Union, only products that are made to the approved recipe can be marketed as a Cornish pasty. The PGI status therefore ensures that the genuine Cornish pasty, loved and revered all over the world for generations, retains its distinctiveness and heritage. PGI is one of three European Union designations to protect regional foods that have a specific quality, reputation or other characteristics attributable to that area. It acts like a Trade Mark and stops manufacturers from outside of a region copying a regional product and selling it as that regional product. The CPA believes that the EU’s mechanism for protecting food names is one that helps to protect the consumer from being misled and protects and promotes the integrity of genuine regional speciality foods and drinks. Since achieving protected status, the Cornish pasty industry has continued to grow. 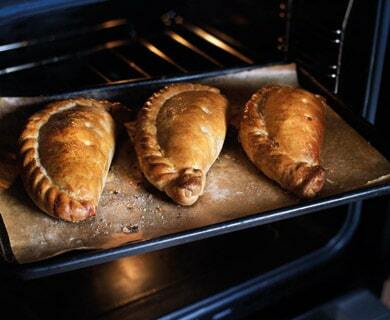 It is very difficult to attribute that growth wholly to the existence of the PGI – that is something that is almost impossible to measure formally or accurately – but the CPA regularly receives trade enquiries from businesses that have heard about the PGI and are interested in sourcing an accredited Cornish pasty. Pasty producers of all sizes have also seen an increase in interest from overseas markets, particularly within Europe, in recent years. From the number of enquiries and observations the CPA receives on a regular basis, it is clear that the Cornish pasty is highly regarded and has a loyal customer following who want to see the genuine Cornish pasty’s integrity protected.